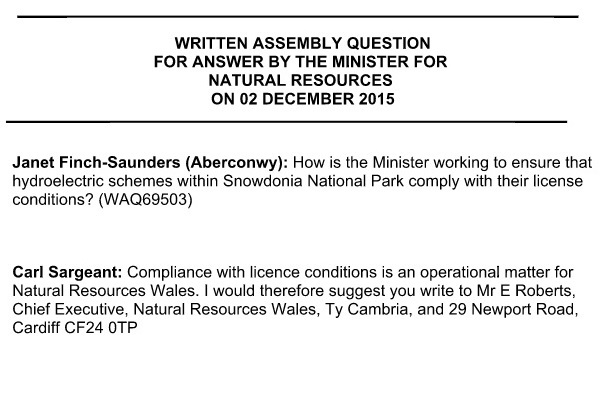 Aberconwy AM Janet Finch-Saunders has been busy tabling questions for her constituents to Carl Sargeant AM. 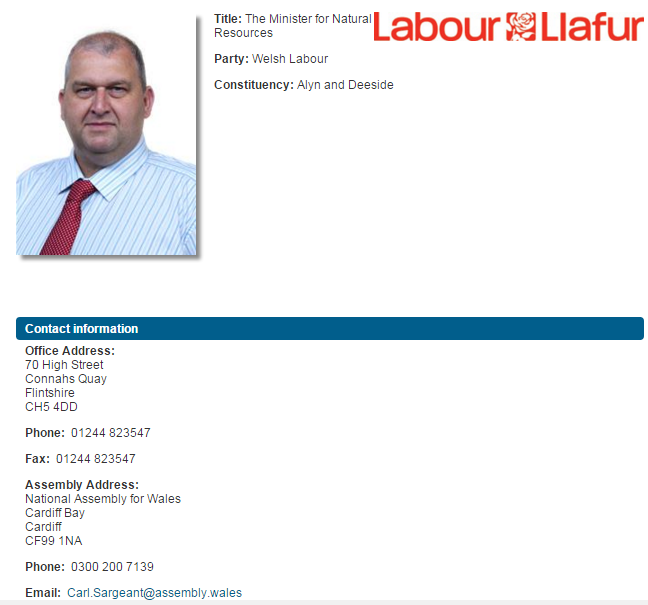 Mr Sargeant is the Minister for Natural Resources. 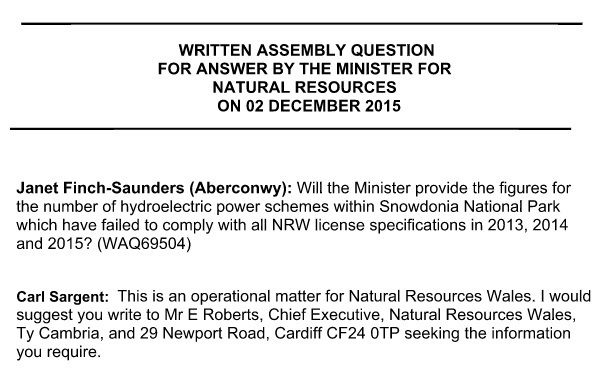 The correspondence is given below, and there are copies of each question for download given at the end, along with part of Natural Resources Wales’ Remit and the responsibilities, as stated by them. 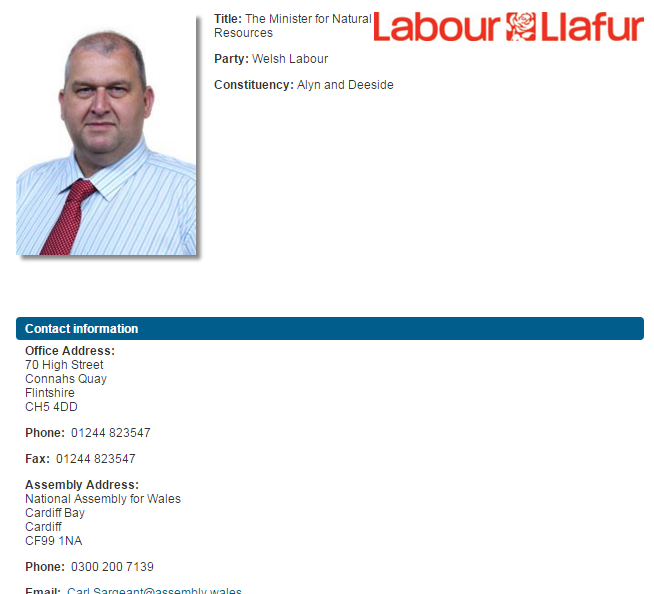 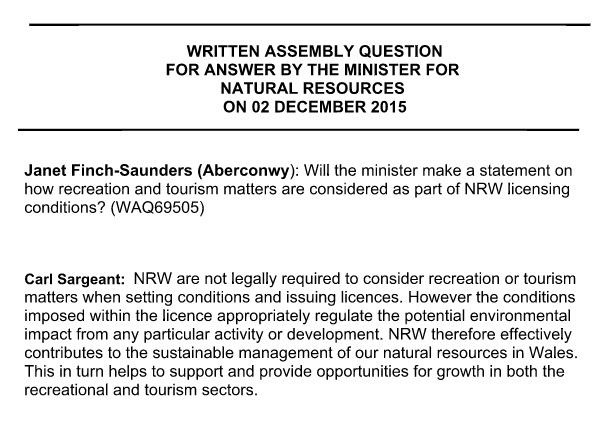 Carl Sargeant states that NRW do not consider tourism or recreation, but in their own statement, taken from here they are considering the effect to lawful water users, which we must assume includes recreational users both local and “tourist” in nature. 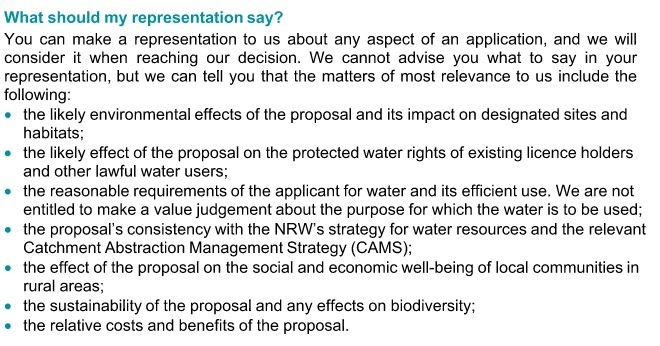 Clarity is needed on this issue, especially as the Conwy has been declared to be an issue of “High Public Importance”.